Emma King laughs when asked if she remembers being bullied in school. King, a 25-year-old plus-size model from Friars Wood, Croydon, works as a full-time resident liaison officer for Mulalley Construction in addition to her modeling work. 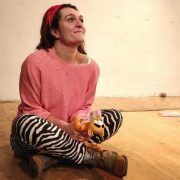 She entered the industry on a whim after being bedridden with an over-curved spine in her last year of drama school. At 5’10” and a size 16, she’s been successfully modeling since she was offered three jobs in the first three weeks. 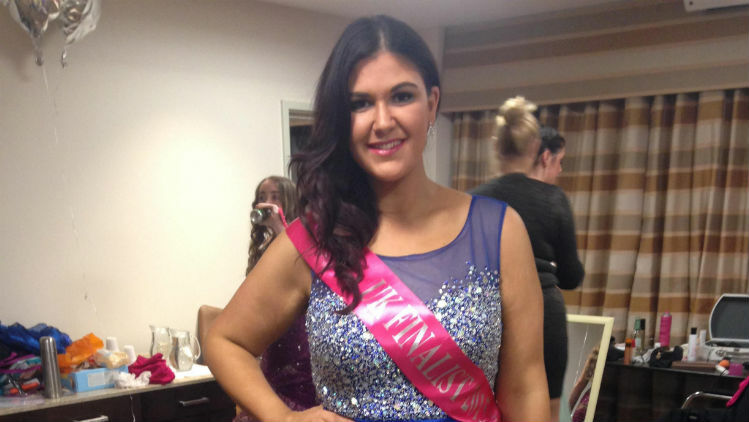 This summer, she was a finalist in her first pageant, Miss British Beauty Curve, winning the swimwear category. On Sunday November 29, she was named a Grand Finalist in the UK finals of the Face of the Globe beauty pageant. The only plus-sized model in the open competition, she will represent her country in the international finals, which are held in Disneyland, Paris in April 2016. The day before the competition, King was just hoping her first foray into a non-plus-size pageant would be a positive experience. King saw her participation in a non plus-size pageant as a big step into body positivity activism. When she made the final five on Sunday, Novemvber 29, she delivered a speech on being the only plus-sized model at the competition. “I am proud of myself and hopefully girls will see that it is possible to do anything when you work hard,” she said. Although the modeling industry consistently receives criticism for its portrayals of female beauty standards, it helped King develop a sense of self after attending drama school. Grueling hours and the pressure of watching back film tape convinced King she needed to diet. She lost four and a half stone in a year, and says she then “basically starved myself” to keep down to size. Dress-shopping for her eighteenth birthday, King remembers confidently asserting she would fit into a gown that was much too tight when she tried it on in the shop. Diagnosed with an underactive thyroid when she was twenty, it became more difficult for King to lose weight. While King gets personal enjoyment from her modeling work, she also takes her status as a public figure seriously. Being plus-size means modeling clothes that ordinary women can see themselves buying. But King also wants to do more. She hopes to begin outreach work in schools across London, holding conversations with children about the impacts of bullying and the importance of body positivity. She says she also hopes she can make an impact on students who don’t realize what they can accomplish. Attending Edenham High School, King says she struggled with dyslexia. She wasn’t allowed to study drama, the only subject she was passionate about, and she came out of school without any GCSE scores. The finals of Face of the Globe will be held in Disneyland Paris April 7, 2016.